The meaning of Assumpta is 'A form of Asuncion.' The name Assumpta comes from the Catalan origin and.. The meaning of Carme is 'Catalan form of Carmel, influenced by the Latin word carmen, "song".' The n.. The meaning of Carmesina is 'Crimson.' The name Carmesina comes from the Catalan origin and is prima.. The meaning of Cesca is 'Variation of Francesca.' The name Cesca comes from the Catalan origin and i.. The meaning of Elna is 'Variant of Helena.' The name Elna comes from the Catalan origin and is prima.. The meaning of Ermessenda is 'From the Germanic, "big way".' The name Ermessenda comes from the Cata.. The meaning of Erola is 'Little thresthing floor.' The name Erola comes from the Catalan origin and .. The meaning of Eudald is 'From the Germanic, "famous ruler".' The name Eudald comes from the Catalan.. The meaning of Farners is 'Meaning unclear, perhaps "pertaining to flour".' The name Farners comes f.. The meaning of Francina is 'Variant of Francesca.' The name Francina comes from the Catalan origin a.. The meaning of Jordina is 'Feminine form of Jordi.' 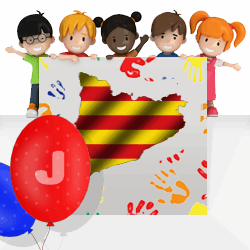 The name Jordina comes from the Catalan origin a.. The meaning of Manela is 'A form of Manuela.' The name Manela comes from the Catalan origin and is p.. The meaning of Meritxell is 'Pasture area at the sun.' The name Meritxell comes from the Catalan ori.. The meaning of Miquela is 'Feminine form of Miquel.' The name Miquela comes from the Catalan origin .. The meaning of Monserrat is 'Serrated mountain.' The name Monserrat comes from the Catalan origin an.. The meaning of Nadal is 'A form of Natividad.' The name Nadal comes from the Catalan origin and is p.. The meaning of Nausica is 'From the Greek, "ship, vessel".' 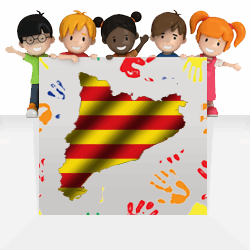 The name Nausica comes from the Catalan .. The meaning of Neus is 'Snows.' The name Neus comes from the Catalan origin and is primarily given a.. The meaning of Remei is 'A form of Remedios.' The name Remei comes from the Catalan origin and is pr.. The meaning of Roser is 'A form of Rosario.' The name Roser comes from the Catalan origin and is pri.. The meaning of Tanit is 'From the Semitic roots, "serpent lady".' The name Tanit comes from the Cata.. The meaning of Tura is 'Bull.' The name Tura comes from the Catalan origin and is primarily given as.. The meaning of Vinyet is 'Vineyard. Note: In Catalan NY is pronounced as GN in French.' The name Vin.. The meaning of Ivana is 'A form of Ivo.' The name Ivana comes from the Catalan origin and is a name .. The meaning of Montserrat is 'Upon the mountain range.' The name Montserrat comes from the Catalan o..